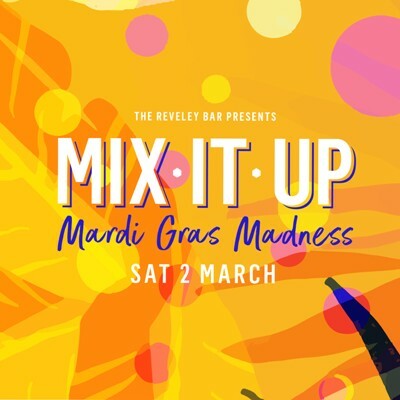 Party Mardi Gras style at the newest Mix It Up edition! The Reveley is celebrating the end of summer with vibrant cocktails, a deliciously rich menu and of course, unbeatable Elizabeth Quay views. Join the Mardi Gras madness on the rooftop whilst sipping on your choice of Tanqueray or Gordon's G&T, followed by 4 courses in the Dinning Room paired with festive, punchy gin cocktails. Mix It Up tickets don’t last long, gather your group and secure yours for $99 per person.